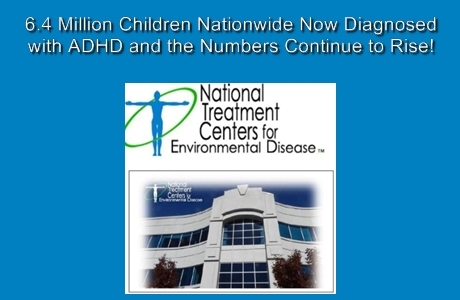 Earlier this summer, I stumbled across a press release issued by the The National Treatment Centers for Environmental Disease, also “NTCED”, stating that ADHD is on the rise and growing at a rate of 5% per year. Their data suggests that 6.4 million children nationwide have this neurological imbalance and an additional 320,000 children will be diagnosed with ADHD in 2016. The release went on to state that the “medical community remains dumbfounded by the sudden explosion and has no idea as to the cause of it.” But is the culprit behind ADHD right beneath our nose? NTCED Spokesperson, Anita Hill, announced today that the culprit causing this exponential growth in ADHD diagnosis may be closer to home than anyone can imagine, as a matter of fact, it may just be that,your home! Neurotoxins emitted by toxic mold growing inside of homes having water leaks can become toxic to the brain, causing not only a diagnosis of ADHD, but also misdiagnosis of Alzheimer’s disease, Lupus, MS, depression, anxiety, autonomic nervous system dysfunction, leaky gut syndrome, celiac disease, Chronic Fatigue Syndrome, and a host of other misdiagnoses. 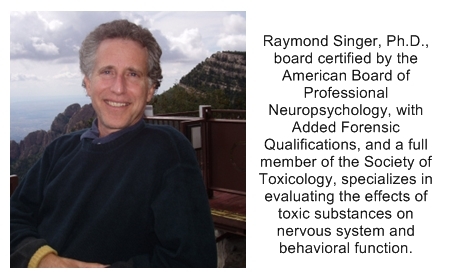 member of the Society of Toxicology, specializes in evaluating the effects of toxic substances on nervous system and behavioral function. He has adapted available technology and methods in behavioral and neural science to applied problems of toxicology, helping scientists, doctors and the public to understand the extent of toxic illness in our society. His vita shows over 125 books, papers, presentations, abstracts and workshops to his peers and to the public on toxicology-related issues, including presentations to the Society of Toxicology, American College of Toxicology, International Neurotoxicology Association, National Academy of Neuropsychology, American Academy of Forensic Psychology, American Chemical Society, World Congress of Pathology, International Congress of Occupational Health, World Congress of Biological Psychiatry, and the World Health Organization. Dr. Singer also communicates neurotoxic science to non-scientists, including courts, juries, citizen groups, radio audiences, etc. His opinions have been accepted in numerous state and federal courts in the United States of America regarding disability claims, personal injury matters, and criminal cases, including death penalty cases. Dr. Singer has served as an expert witness in numerous landmark cases, including the Vietnam Veterans Agent Orange litigation– wherein he testified that herbicides and dioxins damaged the veterans’ nervous systems; the Shilling case in Ohio, wherein the Ohio Supreme Court unanimously opined that a neuropsychologist can testify that plaintiffs’ multiple sclerosis-like conditions were due to gasoline poisoning; and the Bonner case, where his innovative forensic methods were upheld after exacting scrutiny by a Federal Appeals Court. Governmental and other agencies that he has assisted in toxicological matters include the United States Department of Justice – Environmental Crimes Section, and the Federal Bureau of Investigation. He was employed by the National Renewable Fuels Association to inform the United States Congress regarding the relative safety of alcohol based- versus MTBE based – fuel additives. (Against Dr. Singer’s recommendations, MTBE was introduced into the US energy supply, only to be found years later to be a persistent and troubling environmental pollutant, now banned in at least 15 states). He has presented written testimony to the Subcommittee on Investigations and Oversight of the Committee on Science and Technology , United States House of Representatives, regarding neurotoxic substances at home and in the workplace. Dr. Singer has assisted German Federal lawmakers regarding neurotoxic chemical problems in our society by lecturing in The Great Hall of Parliament, Wasserwerk, Bonn , funded by and upon invitation of the German Federal Government, SPD Bundestagfraktion. Dr. Singer was awarded the Doctor of Philosophy degree from Washington State University in 1978. He had been a USA National Institute of Health Post-Doctoral Fellow in Biological Psychiatry, New York University School of Medicine. In addition, he had been a USA National Institute of Health Post-Doctoral Fellow in Environmental Epidemiology at the Mount Sinai School of Medicine, New York City, under the direction of Irving J. Selikoff, M.D. (a prominent and pioneering public health scientist and doctor who revealed the widespread toxicological problems of asbestos and other low-level pollutants). Neurotoxicity—poisoning of the brain and nervous system—is a well-documented effect of exposure to many widely used chemicals, yet doctors (and lawyers) often fail to recognize it. Chemically injured clients often report a confusing array of symptoms, with no medical diagnosis. The symptoms may seem vague and unconnected, leading you to wonder, “Could these symptoms really be caused by a chemical exposure?” Once you recognize the signs and understand them in context—as a constellation of symptoms resulting from a toxic injury—you will have greater confidence in bringing your client’s case to justice. A person who has suffered a serious chemical injury is likely to have sustained considerable damage to his or her brain and nervous system. This is important for a lawyer to know, because doctors often recognize only the person’s physical illness, not realizing that serious brain and nervous system damage may have also occurred. Neurotoxicity can be documented, but perhaps not in the way you might think. A person’s ability to think, perceive, control emotions, plan, and manage his or her life can diminish drastically without anything being visible to a radiologist or neurologist on an MRI or a CT scan. Hi, Sue – you are correct of course. However, vaccines may be the tipping point. 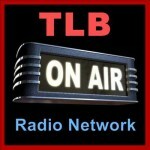 There are other indicators for neurotoxicity where then vaccines tip the scale. I did not broach this topic with Dr. Singer – however, he brought up enough information in the interview including formaldehyde for people like you to put two and two together. Sometimes that things that are left unsaid – scream the loudest. Thank you for your comment. No doubt there is toxicity everywhere these days. The most invasive form, though, is having these poisons injected into your body, bypassing all the normal defense systems; VACCINATION. In fact, some of the ailments listed, including MS and lupus, have been admitted in medical journals to be caused by vaccinations.